Do you more often than not feel overwhelmed by the amount of work that you need to do, and do you find yourself in a situation wherein you miss important deadlines? Or you would have found yourself in a spot of bother because of forgetting something important and that task would have taken more time to finish. To do way with all these issues, you need to have a proper To-Do list, and below mentioned is a list of Printable Daily To Do List templates that you can use. You should use this Daily To-Do List Planner Template to schedule your tasks through the entire day. This template contains a layout based on 24 hours of the day, and you can assign the tasks as per each slot. It also includes sections for personal as well as business tasks. You may also check the Weekly To Do List Templates. This Free Daily To-Do List template is designed for those who want to get the most out of their time and want to improve their time management. 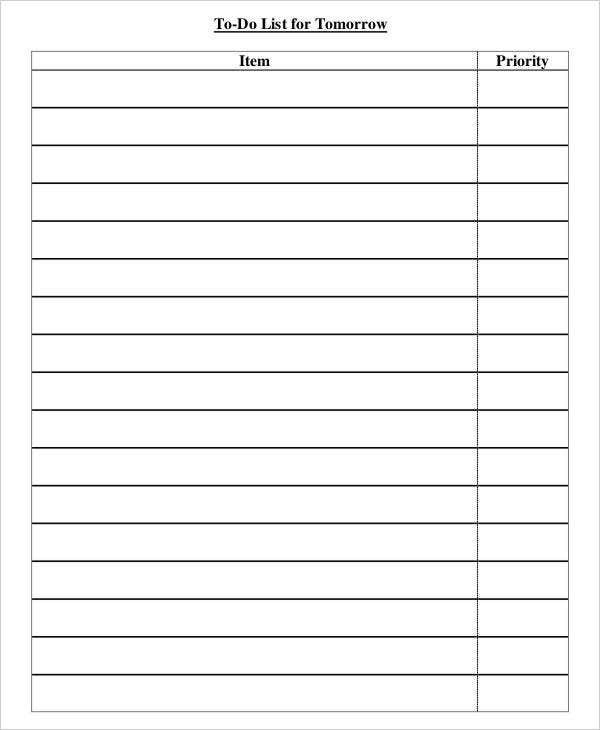 You should take the first step in that direction by downloading this printable Free Daily To-Do List template. > Why do you Need to use a To-Do List? A To-Do list will enable you to manage your time efficiently, and it won’t let you miss out on performing the necessary tasks both at a personal as well as professional level. It will also work as a reminder of the tasks that you need to complete on a daily, weekly, or even monthly basis. It will help you in completing tasks well within their deadlines. It is not always easy to remember everything and many times, we forget things of importance and end up wasting our valuable time which could have been used for other productive tasks and it leads to a delay in completing the tasks in hand. You should use these to-do lists to manage your time smoothly. You may also check Daily Planner Templates. 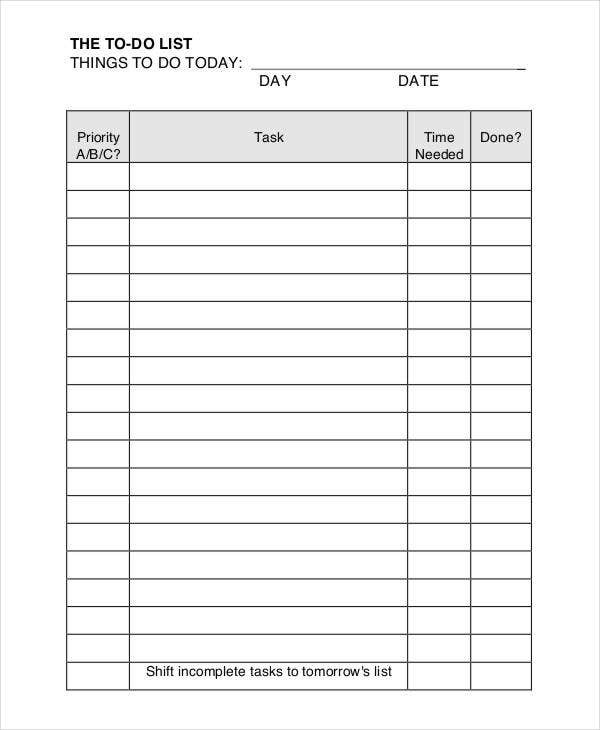 You can use this Printable Daily To-Do List For Work Template for completing all your tasks in your workplace on a timely basis. 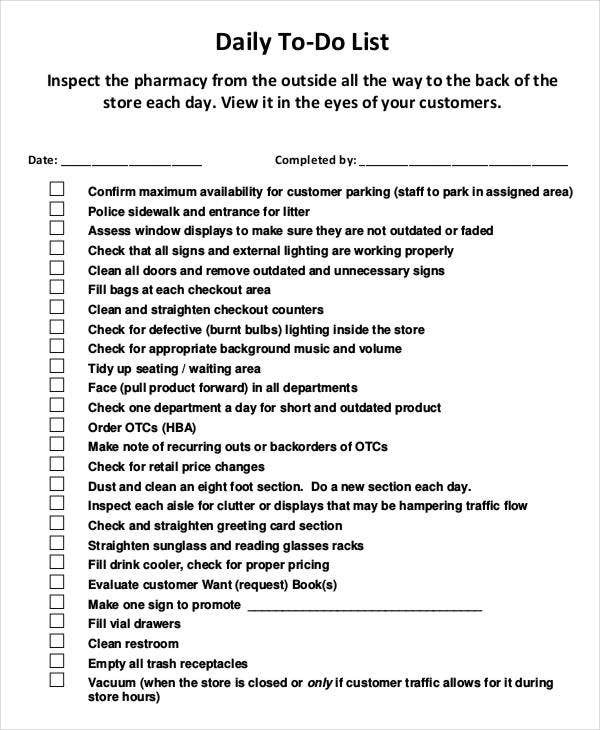 This template is available in a downloadable PDF format and has sections for a list of tasks along with their priority level. 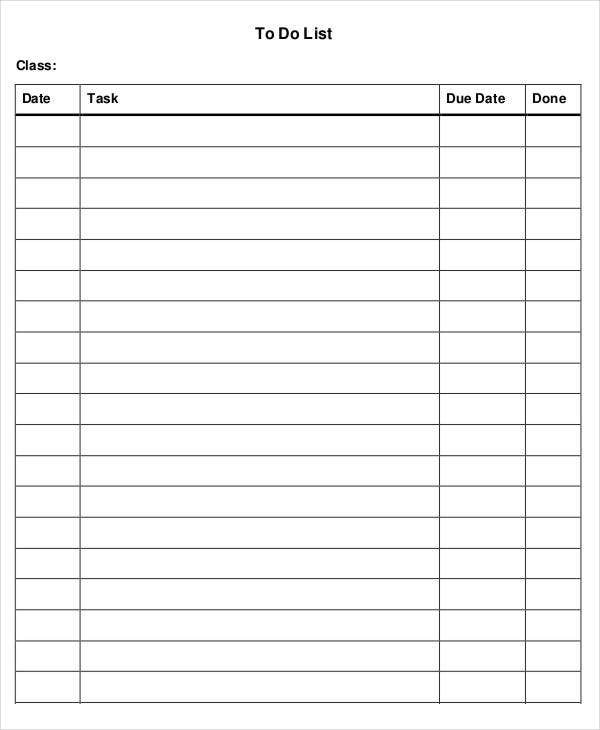 You may also check Daily Task List Template. This Daily To-Do List For Kids is a beautifully designed colorful template that can be used for encouraging the kids to be more organized and to learn the importance of time management. You may also check Daily Checklist Templates. This an ideal Daily To-Do List for students. This template is available in rows and column format and the priority level of the tasks has been designed in 3 separate categories of A/B/C. The A section refers to the tasks that are needed to be completed today; B refers to the tasks which are important but can be done by tomorrow; C indicates the tasks which are important but not now. 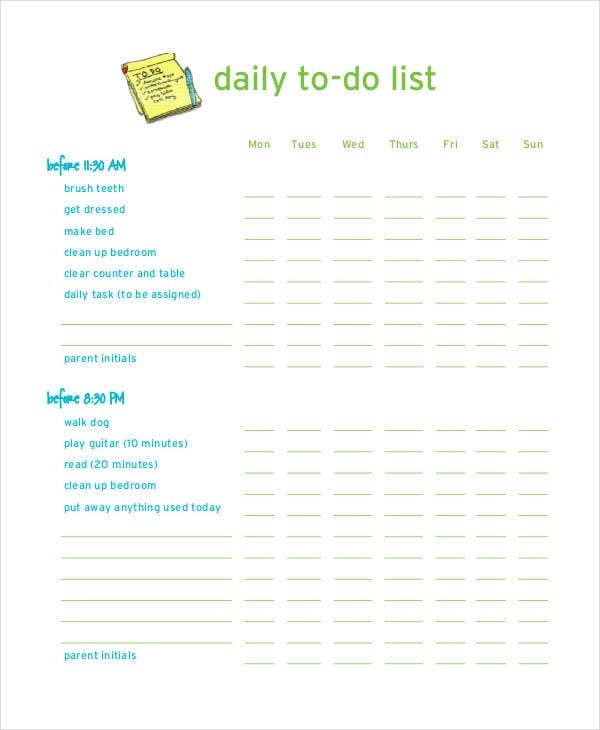 > Who can use these Printable Daily To-Do List templates? These Printable Daily To-Do List templates are tailor-made to suit your requirements perfectly, and they will cater to a wide range of audience. These templates can be used by anybody and everybody who need to get better at managing their time. Working professional, students, kids, housewives- all can use these templates to get more organized and make the best use of the time available at their disposal. These templates are available in downloadable format, and anyone can use them easily. You can even customize the templates if you want to add any further field to the existing template and they are available in the print-ready format. 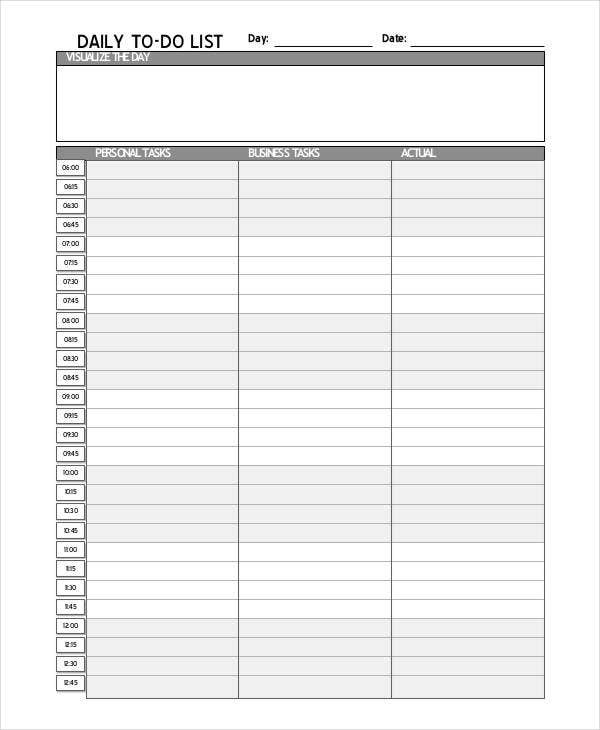 If you are looking for a suitable Printable Daily To-Do List template, you can choose one from the broad range of Printable Daily To-Do List templates available on our website. 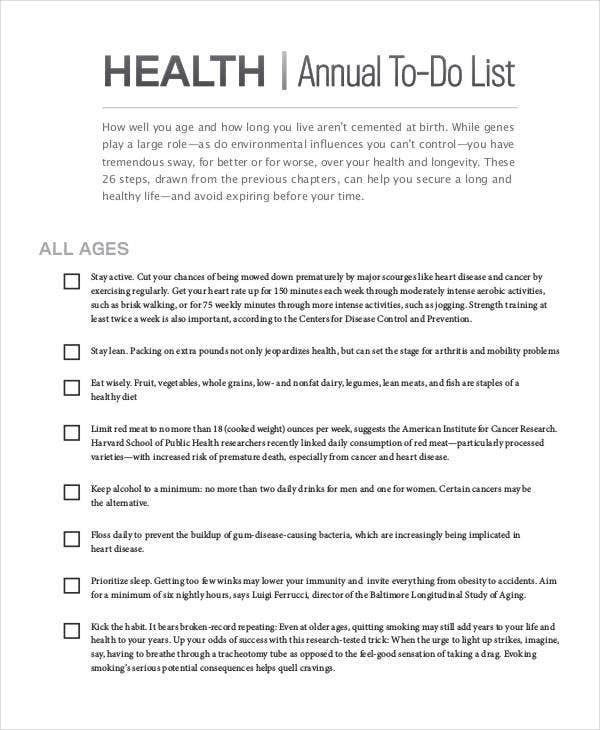 By checking these templates, you will be able to get an idea about the concept of a to-do list. Choose the one that best suits your requirement and get smart at managing your time like never before.